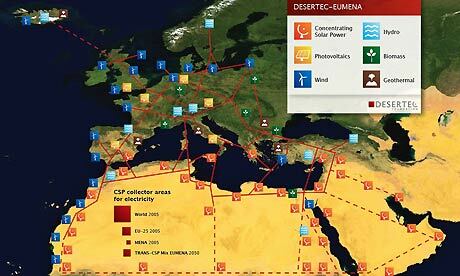 Concentrated Solar Power (CSP) is gaining credibility again in energy circles, as Desertec plans to use the Sahara to create energy for Europe. Why is this not being considered in northern Nigeria? There is no gas available, so why not use the sun? "Why is this not being considered in northern Nigeria? There is no gas available, so why not use the sun?" oga jeremy, are you new to Nigeria? You seem not to understand that that political office in Nigeria is not for governing but for embezzling money. Who cares about the masses? "Let them eat cake."